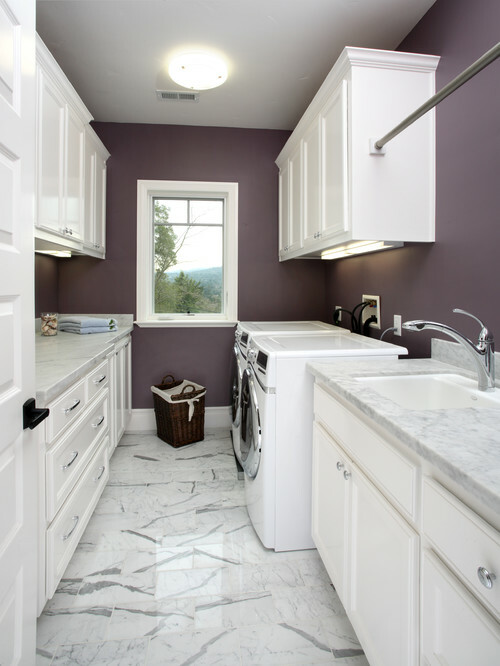 The laundry room is one of those spaces in the house that kind of gets forgotten. 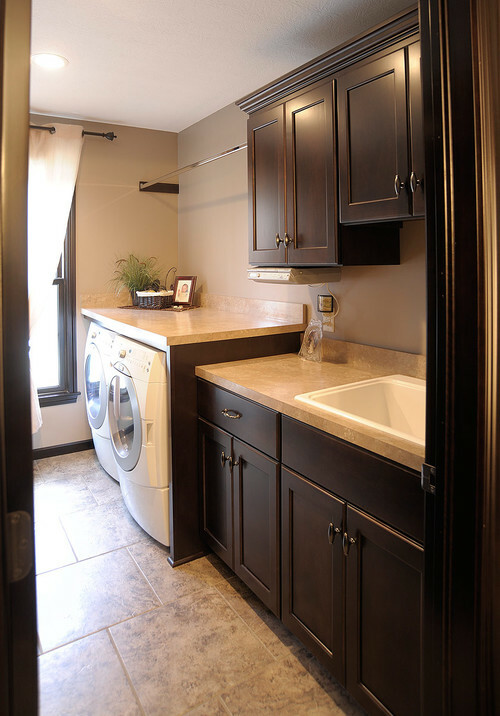 It’s there for all intents and purposes, but unless I’m walking through a model home, I rarely see a laundry room dressed up to it’s potential. 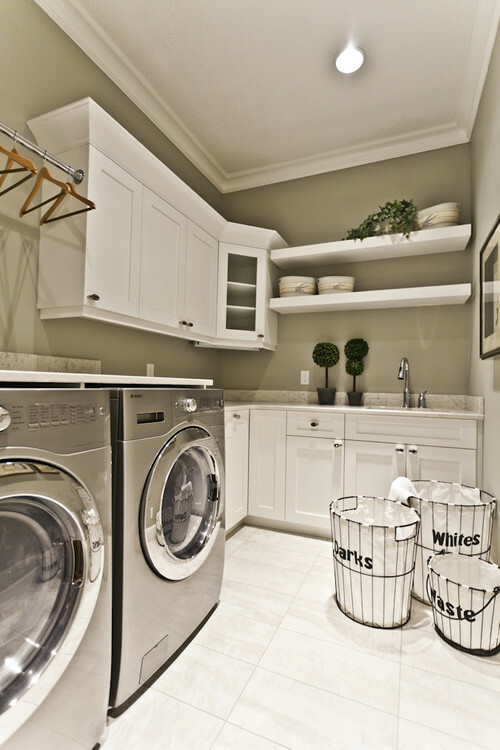 Contemporary Laundry Room design by Edmonton Design-build Marcson Homes Ltd.
Wow – what some paint and fun accessories can do. 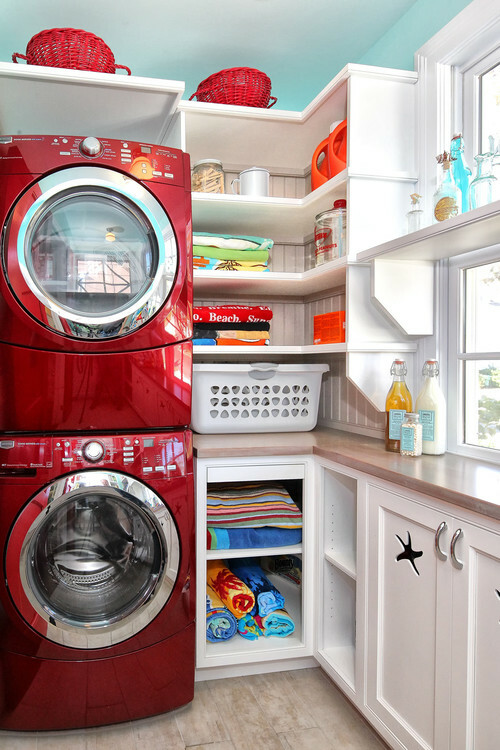 And hey, that dreaded time in there might now be enjoyable…or at least bearable!